Susan Murphy, H.E. 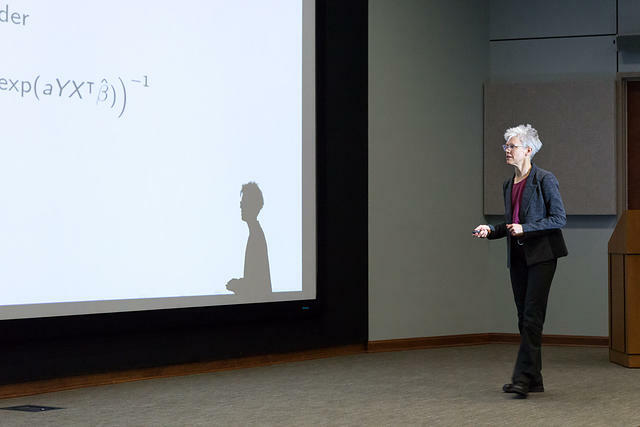 Robbins Distinguished University Professor of Statistics and Professor of Psychiatry at the University of Michigan, was elected to the National Academy of Sciences. She received her B.S. in mathematics in 1980 from LSU, and her PhD in statistics in 1989 from UNC. Susan Murphy is a 2013 recipient of the MacArthur Fellowship. In 2014 she delivered the Pasquale Porcelli Lecture at LSU, and she was inducted into the LSU College of Science Hall of Distinction in 2016.